Nassau (/ˈnæsɔː/) is the capital and commercial centre of the Commonwealth of the Bahamas. The city has an estimated population of 274,400 as of 2016, just over 70% of the population of the country (≈391,000). Lynden Pindling International Airport, the major airport for the Bahamas, is located about 16 kilometres (9.9 mi) west of Nassau city centre, and has daily flights to major cities in Canada, the Caribbean, the United Kingdom and the United States. The city is located on the island of New Providence, which functions much like a business district. Nassau is the site of the House of Assembly and various judicial departments and was considered historically to be a stronghold of pirates. The city was named in honour of William III of England, Prince of Orange-Nassau, deriving its name from Nassau, Germany. Nassau's modern growth began in the late eighteenth century, with the influx of thousands of American Loyalists and their slaves to the Bahamas following the American War of Independence. Many of them settled in Nassau (then and still the commerce capital of the Bahamas) and eventually came to outnumber the original inhabitants. As the population of Nassau grew, so did its populated areas. Today the city dominates the entire island and its satellite, Paradise Island. However, until the post-Second World War era, the outer suburbs scarcely existed. Most of New Providence was uncultivated bush until Loyalists were resettled there following the American Revolutionary War; they established several plantations, such as Clifton and Tusculum. Slaves were imported as labour. After the British abolished the international slave trade in 1807, they resettled thousands of Africans liberated from slave ships by the Royal Navy on New Providence (at Adelaide Village and Gambier Village), along with other islands such as Grand Bahama, Exuma, Abaco and Inagua. In addition, slaves freed from American ships, such as the Creole case in 1841, were allowed to settle there. The largest concentration of Africans historically lived in the "Over-the-Hill" suburbs of Grants Town and Bain Town to the south of the city of Nassau, while most of the inhabitants of European descent lived on the island's northern coastal ridges. ✪ NASSAU Bahamas: 5 Tips to Know Before You Go! Nassau was formerly known as Charles Town; founded in 1670 by British Noblemen who brought British settlers with them to New Providence where they built a fort that was named Charles Town in honour of England’s King Charles II. During the Raid on Charles Town the town was burned to the ground by the Spanish in 1684 during one of their frequent wars with the English. It was rebuilt and renamed to Nassau in 1695 under Governor Nicholas Trott in honour of the Dutch Stadtholder (stadhouder in Dutch) and later also King of England, Scotland and Ireland, William III who belonged to a branch of the House of Nassau, from which the city takes its name. The name Nassau ultimately derives from the town of Nassau in Germany. Due to a lack of effective governors (after Trott), Nassau fell on hard times. In 1703 Spanish and French allied forces briefly occupied Nassau. From 1703 to 1718 there was no governor in the colony and by 1713, the sparsely settled Bahamas had become a pirate haven. The Governor of Bermuda stated that there were over 1,000 pirates in Nassau and that they outnumbered the mere hundred inhabitants of the town. They proclaimed Nassau a pirate republic, establishing themselves as "governors". Examples of pirates that used Nassau as their base are Charles Vane, Thomas Barrow (who declared himself "Governor of New Providence"), Benjamin Hornigold, Calico Jack Rackham, Anne Bonny, Mary Read, and the infamous Edward Teach, better known as "Blackbeard". In 1718, the British sought to regain control of the islands and appointed Captain Woodes Rogers as Royal governor. He successfully clamped down on the pirates, reformed the civil administration, and restored commerce. Rogers cleaned up Nassau and rebuilt the fort, using his own wealth to try to overcome problems. In 1720 the Spanish made an unsuccessful attempt to capture Nassau. During the wars in the Thirteen Colonies, Nassau experienced an economic boom. With funds from privateering, a new fort, street lights and over 2300 sumptuous houses were built and Nassau was extended. In addition to this, mosquito breeding swamps were filled. In 1776, the Battle of Nassau resulted in a brief occupation by American Continental Marines during the American War of Independence, where the Marines staged their first amphibious raid on Fort Montague after attempting to sneak up on Fort Nassau. In 1778 after an overnight invasion, American raiders led by Captain Rathburn, left with ships, gunpowder and military stores after stopping in Nassau for only two weeks. In 1782 Spain captured Nassau for the last time when Don Juan de Cagigal, governor-general of Cuba, attacked New Providence with 5000 men. Andrew Deveaux, an American Loyalist who resettled on the island, set forth to recapture Nassau for the British Crown and with 220 men and 150 muskets to face a force of 600 trained soldiers. Lord Dunmore governed the colony from 1787 to 1796. He oversaw the construction of Fort Charlotte and Fort Fincastle in Nassau. During the American Civil War, Nassau served as a port for blockade runners making their way to and from ports along the southern Atlantic Coast for continued trade with the Confederacy. In the 1920s and 1930s, Nassau profited from Prohibition in the United States. Located on New Providence Island, Nassau has an attractive harbour,[original research?] a blend of old world and colonial architecture, and a busy port. The tropical climate and natural environment of the Bahamas have made Nassau a tourist destination. Nassau developed directly behind the port area. New Providence provides 200 km² of relatively flat and low-lying land intersected by low ridges (none of which restricted settlement). In the centre of the island there are several shallow lakes that are tidally connected. The city's proximity to the United States (290 km east-southeast of Miami, Florida) has contributed to its popularity as a holiday resort, especially after the United States imposed a ban on travel to Cuba in 1963. The Atlantis resort on nearby Paradise Island accounts for more tourist arrivals to the city than any other hotel property of Nassau. The mega-resort employs over 6,000 Bahamians, and is the largest employer outside government. Nassau has a tropical savanna climate, with hot and wet summers, and a warm and drier winter. Temperatures are relatively consistent throughout the course of the year. During the wet season from June through September, average daytime high temperatures are between 30 - 32 C (88-90 F), while during the drier season from November through March daytime temperatures are between 25 and 27 °C (77 and 81 °F), rarely falling below 15 °C (59 °F). During the 19th century, Nassau became urbanized, attracting rural residents. Growth since the 1950s has been outwards from the town. The 1788 heart of Nassau was just a few blocks of buildings between Government House and the harbour, but the town gradually expanded east to Malcolm's Park, south to Wulff Road, and west to Nassau Street. Grants Town and Bain Town south of the city became the main residential areas for those of African descent, and until about 30 years ago was the most populous part of the city. Those of European descent built houses along the shore, east as far as Fort Montagu, west as far as Saunders Beach, and along the ridge edging the city. During the 20th century, the city spread east to Village Road and west to Fort Charlotte and Oakes Field. This semicircle of residential development was the main area of settlement until after the Second World War, and marks a distinct phase in the city's expansion, the outer boundary to this zone being the effective limit of the continuous built-up area. The wealthier residents continued to spread east (to East End Point) and West (to Lyford Cay). In the last 40 years, residential development has been quite different. It has consisted mainly of planned middle-income sub-divisions. Since the 1960s, government has sponsored low-cost housing developments at Yellow Elder, Elizabeth Estates, and Pinewood Gardens, in the outer ring. The city centre is the hub for all activities in Nassau. Thousands of people visit daily, to shop, dine, sightsee and to enjoy the tropical climate of the city. While the busiest part of central city is the Bay Street thoroughfare and the Woodes Rogers Walk, located across the street from the port and parallel to Bay, the area extends for several blocks in each direction. It starts at West Bay, around the Junkanoo Beach area. A few hotels and restaurants are located on West Bay. The next landmark is the British Colonial Hotel, which marks the beginning of Bay Street proper. Pirates of Nassau Museum is just across from the British Colonial Hilton. The next few blocks of Bay Street are wall-to-wall boutiques, with a few restaurants and clubs interspersed throughout the retailers. Historical landmarks are also in the vicinity, including Vendue House, Christ Church Cathedral, and the Nassau Public Library. Although the tourist part of the city centre peters out after about seven blocks, smaller, more local shops are located down Bay Street. At this point, Bay Street becomes East Bay. The Straw Market is a tourist destination in the city centre. A new market was opened in 2011 after a fire in 2001 destroyed the original Fish, Vegetable and Straw Market. The market is open on all sides, and contains a number of Bahamian craft stores. Cable Beach is recognised as the hotel district of Nassau. Five hotels—two of which are all-inclusive—are located on this strip. The area is also known for its dining, the Crystal Palace Casino, and the golden sands of Cable Beach. Most of the area's restaurants are located either in the hotels or across the street. There is little to no nightlife. There is a bit of shopping, most of it located in the Wyndham. The commercial future of Cable Beach is being re-imagined with the development of Baha Mar, a resort and casino project that will bring more than 2,000 hotel rooms and the largest gaming and convention facility in the Caribbean to this section of New Providence Island. As of April 2017, it is officially open, but not yet complete. Nassau had a population of 128,420 females and 117,909 males and was home to 70,222 households with an average family size of 3.5 according to the 2010 census. Nassau's large population in relation to the remainder of the Bahamas is the result of waves of immigration from the Family Islands to the capital. Consequently, this has led to the decline in the population of the lesser developed islands and the rapid growth of Nassau. In January 2018, the U.S. Department of State issued the latest in a series of travel advisories due to violent crime. Tourists are often targeted, and armed robbery has increased on all of New Providence. Lynden Pindling International Airport (formerly Nassau International Airport) is located on the western side of Nassau. New Providence Airport on Paradise Island was closed in 1999 with runway removed and integrated into the resort on the island. Ferries (boats) provide water travel around Nassau to the surrounding islands, namely Paradise Island. Prince George Wharf is the main port in the city that serves cruise ships with ports of call in Nassau. Transportation and shipping around the Family Islands is primarily through mailboats based at Potters Cay. International shipping is done through the Arawak Port Department on Arawak Cay. High speed excursions to Exuma, Spanish Wells and Harbour Island are available daily. Public jitney buses and taxis provide transport in and around Nassau. Rental cars are also available in the city and at the airport. The major road in Nassau is Bay Street for tourists. Bay Street runs the entire length of the Island from East to West. Bay Street also provided beachfront views. The downtown area and the cruise ships are in walking distance. The Bahamas is a left-hand traffic country, but many cars are imported from the USA in left-hand drive. Nassau has been recognized as a part of the UNESCO Creative Cities Network as a city of Crafts and Folk Art. It is one of only three Caribbean cities to receive this honour. The city's chief festival is Junkanoo, an energetic, colourful street parade of brightly costumed people dancing to the rhythmic accompaniment of cowbells, drums and whistles. The word 'Junkanoo' is named after the founder 'John Kanoo'. The celebration occurs on December 26, July 10 and January 1, beginning in the early hours of the morning (1:00 a.m.) and ending around 10 a.m. At the end of the Junkanoo procession, judges award cash prizes for the best music, costumes, and overall group presentation. These Bahamians spend all year preparing their handmade costumes by using colored crepe paper and cardboard. Nassau was the main location (however, the filming locations were based around South Africa) for the Starz Network show Black Sails (2014-2017). Nassau was featured as an important location in several movies, including the Beatles film Help! and the James Bond films Thunderball, (1965) and Never Say Never Again, (a remake of Thunderball) (1983) and also for part of the action in Casino Royale (2006). In 1981, it was used as a location for the ocean scene (in the film portrayed as being in Greece) in For Your Eyes Only. Several other late-20th- and 21st-century movies have been set here, including After the Sunset, Into the Blue (2005), and Flipper (1996). It hosted the Miss Universe 2009 pageant. Nassau was featured as a primary location in the 2013 video game Assassin's Creed IV: Black Flag (2013). Deandre Ayton (born 1998), NBA Basketball Player for the Phoenix Suns. First Overall Pick in the 2018 NBA Draft. ^ 2010 Census of Population and Housing: New Providence (PDF) (Report). Department of Statistics of the Bahamas. August 2012. p. v. Retrieved May 18, 2015. ^ 2010 Census of Population and Housing: New Providence (PDF) (Report). Department of Statistics of the Bahamas. August 2012. p. 3. Retrieved May 18, 2015. ^ Klausmann, Ulrike; Meinzerin, Marion; Kuhn, Gabriel (1997). Women Pirates and the Politics of the Jolly Roger (1st ed.). C.P. 1258 Succ. Place du Parc Montreal, Quebec, Canada H2W2R3: Black Rose Books Ltd. p. 192. ISBN 1-55164-058-9. ^ Marley, David (2005). Historic Cities of the Americas: An Illustrated Encyclopedia. ABC-CLIO. p. 6. ISBN 1-57607-027-1. ^ "Wesleyan Chapel and Mission Premises. In the Eastern District of New Providence, Bahamas (p.6, 1849)". Wesleyan juvenile offering. London: Wesleyan Mission-House. VI. 1849. Retrieved 9 November 2015. ^ Headlam, Cecil (1930). America and West Indies: July 1716 | British History Online (Vol 29 ed.). London: His Majesty's Stationery Office. pp. 139–159. Retrieved 15 October 2017. ^ "Nassau, The Bahamas Köppen Climate Classification (Weatherbase)". Weatherbase. Retrieved 2018-11-24. ^ "CLIMAT summary for 78073: Nassau Airport (The Bahamas) – Section 2: Monthly Normals". CLIMAT monthly weather summaries. Ogimet. Retrieved February 4, 2018. ^ Ingraham, Hubert. "Remarks: A Celebration of Bahamian Imagination & Ingenuity". The Government of The Bahamas. Archived from the original on 3 April 2018. Retrieved 3 April 2018. ^ 2010 Census of Population and Housing: New Providence (PDF) (Report). Department of Statistics of the Bahamas. August 2012. pp. 8–9. Retrieved May 18, 2015. ^ "Movie Locations". BondMovies.com. Archived from the original on 2013-01-18. Retrieved 2012-12-10. ^ "Locations - Assassin's Creed IV: Black Flag Wiki Guide". IGN. Retrieved 2016-02-21. ^ Sister Cities Program. "Sister Cities Program | City of Detroit". www.detroitmi.gov. Archived from the original on 2010-06-29. Retrieved 2012-12-10. ^ Sister Cities Winston-Salem. City of Winston-Salem. ^ Winston-Salem, NC Archived 2017-03-23 at the Wayback Machine. Interactive City Directory. 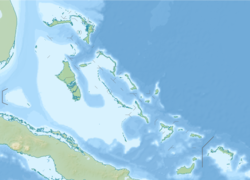 Sister Cities International, Inc.
Wikimedia Commons has media related to Nassau, Bahamas.